Homemade Fondant ! ! ! Don't you love those beautifully decorated SMOOTH cakes? I've always loved them. Even before I really started baking and knew what the icing was called. Fondant has a reputation of being, shall we say, less than delicious? 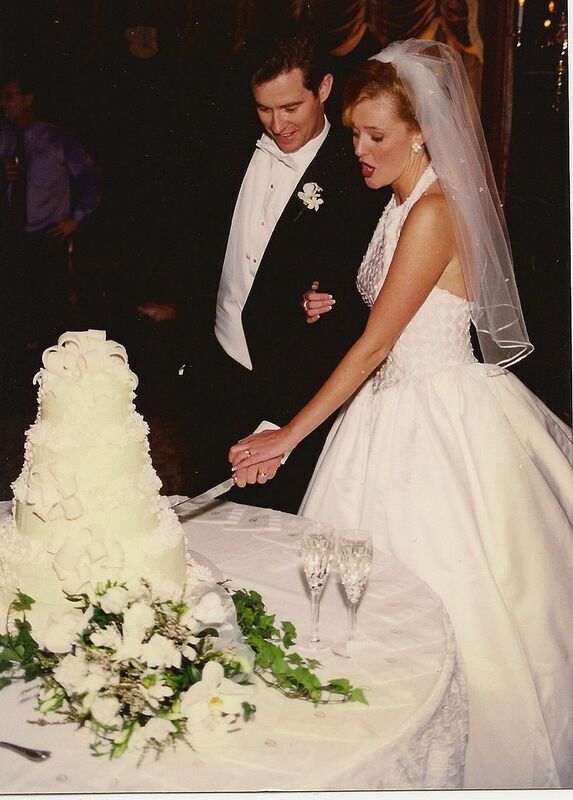 About 14 years ago, when I presented our wedding cake maker with my torn out picture from probably one of the first Martha Stewart Weddings, she said...."you know, that's fondant?" I really had no clue what she was driving at, so I think I probably nodded and asked for another sample. I decided to bite the bullet and try making my own. 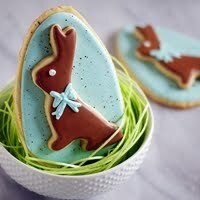 I found links on how to make it from The Decorated Cookie, i am baker and Gourmet Mom on-the-Go. It's pretty easy and MUCH cheaper than pre-made! 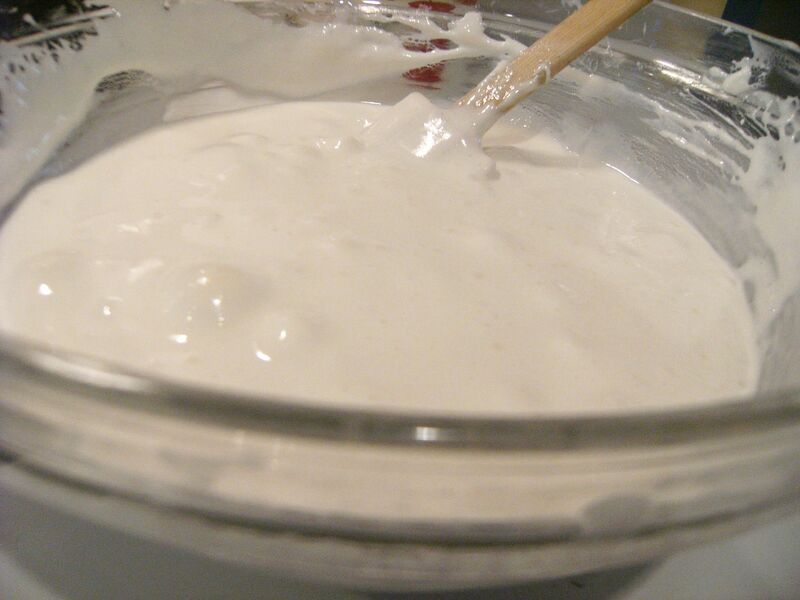 Grease a large glass bowl with Crisco. Pour in the marshmallows and water in the bowl. Microwave at 30-second intervals, stirring after each interval, until melted. Reserve about 1/4 c. powdered sugar. Place the rest of the powdered sugar in the large bowl of a standing mixer. Grease the paddle attachment with Crisco. Pour the melted marshmallows onto the powdered sugar. Beat until a dough forms. There will be lots of loose bits and sugar in the bottom of the bowl. Grease a clean work surface with Crisco and dump out the fondant and all loose bits. Grease hands liberally with Crisco and knead the mixture together, just like kneading bread, for about 5 minutes until smooth. Grease hands again as needed. As the fondant becomes smoother, use the reserved powdered sugar to coat the surface to keep it from sticking. Once smooth, you can divide and color the fondant. While working with one piece, cover the remaining fondant with plastic wrap to keep it from drying out. 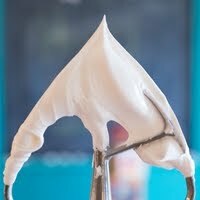 When you have your colors finished, or just keep it all white, coat the fondant in a light layer of Crisco. Wrap in plastic wrap and place in a large baggie. (One recipe said to let it rest 10 minutes, another overnight. I let mine rest overnight.) Store at room temperature for several months. 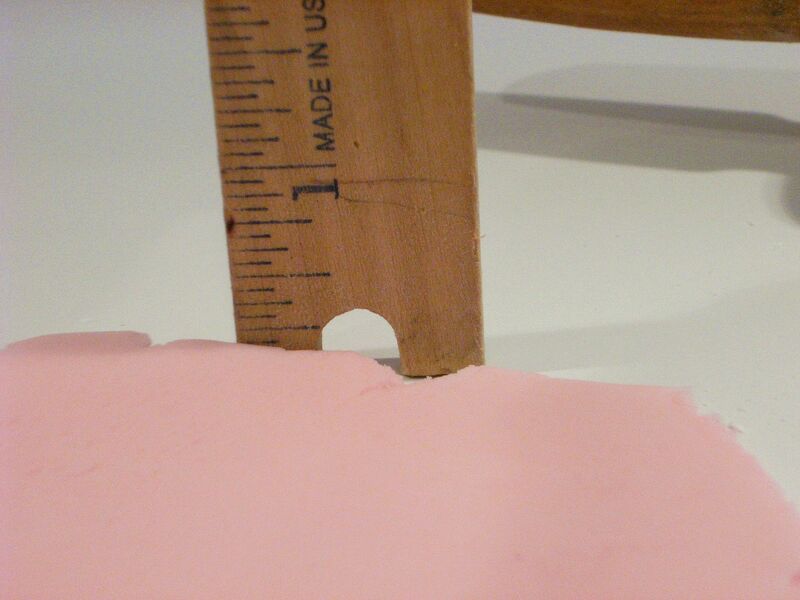 To use it, dust the surface and rolling pin with cornstarch and roll to 1/8th of an inch. 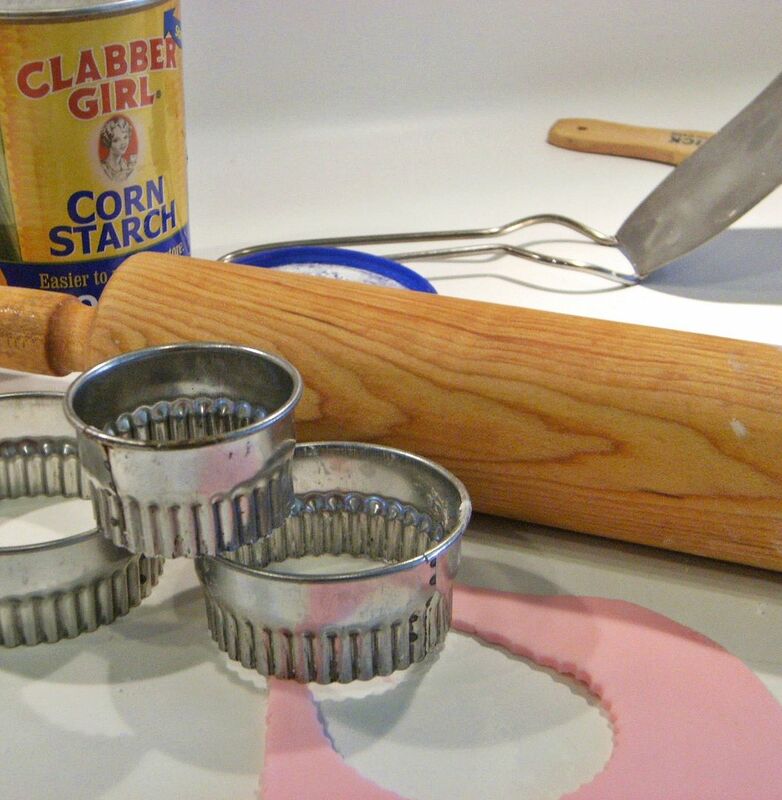 Later today, I'll show you what I did (super simple) with my fondant for Mother's Day. I'm glad you posted this, and I might be in touch after I try it. I foolishly took a wedding cake order using fondant. (which I've never made,nor used!!) Luckily all I have to do is make colored bands for the base of 6 different double layer cakes. AND....it was delicious...my kids were like "what is this candy stuff?" Can't wait to see what you made! I totally agree about the taste thing, yet it is completely addictive because it makes such beautiful things...you've opened the fondant floodgates. And I had a similar wedding cake experience a mere 6 years ago, having no idea what fondant was! Oh, a side note, after posting my recipe a reader ("Ashleyscupcakes") mentioned she adds some popcorn salt and lemon extract to cut the sugary taste, so I'll try that next time, too. nice! i've wanted to try as well but have been too chicken! Awesome! Thanks for posting. I do believe I am going to be trying this soon! Look forward to seeing what you made! By the way, I just love "i am baker"! Amanda is awesome at baking just like you are! I look to the 2 of you as wonderful mentors and great examples! I am so happy you posted this! I am making a cake for a graduation party next weekend and wanted to use fondant. I wanted to make my own but didn't have a recipe. Yay! Fondant is one of the things I've always wanted to make and is on my list for this summer. Glad to see it's not too difficult! Just this morning I was thinking about finding a marshmallow fondant recipe! How perfect. Is it pretty easy to get the color even? Can you overwork the fondant? fantastic! have been scared to make from scratch, now I think I'll try! Thanks for this post! 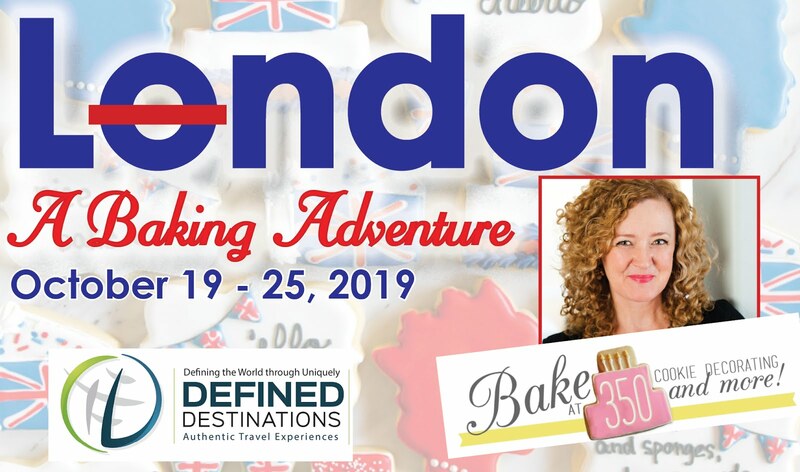 I've never made my own fondant (always just seems so much easier to go buy it) but I definitely need to give it a shot. And love your wedding picture!! I'd like to try that. I wonder, do you think Marshmallow Fluff would work in place of melted marshmallows? I've made fondant a few times, what I don't like about it is it takes forever to get a good color! Lots of kneading. I did find a little trick though, if you are only making 1 color, right after you melt the marshmellow, before you mix in the sugar, quickly add coloring to that, it saves a ton of time. I'm still more a buttercream kind of girl though when it comes to decorating, I guess I'm just old fashioned, and haven't been taught fondant, so I'm intimidated by it. I'm still learning though, maybe I'll like it once I have the hang of it. Wow!! what a tan you had! I love your wedding cake, beautiful!!! Fondant is my best friend, I can't live without it. I am just too lazy to make my own since I use a lot, but for small projects like cupcakes or cookies I think is best to make your own. Have a great weekend. Very intriguing! So the million dollar question... Does it taste better than regular fondant that the bakeries use?? Oh honey.. you mixed the color in after????????? That takes forever and really stains your hands. 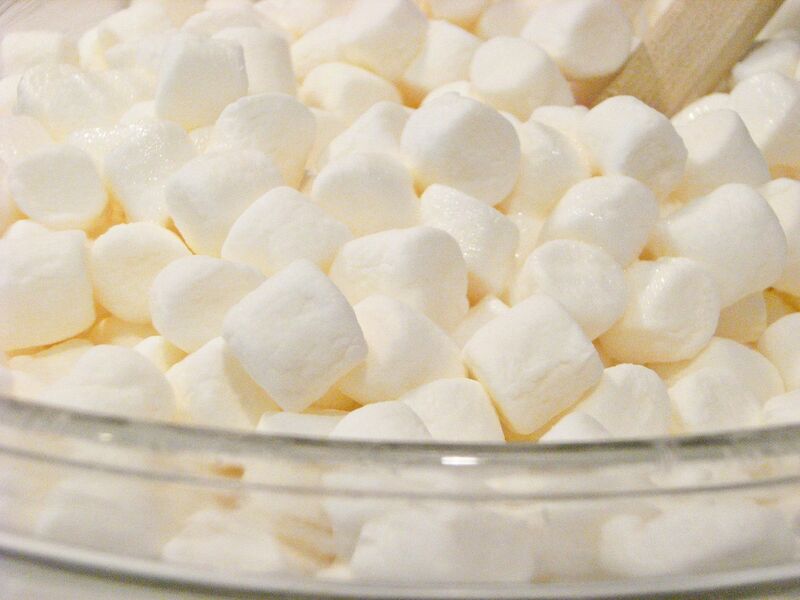 Put the color in your melted marshmellow in the glass bowl. Adding the sugar only makes it just a tiny bit lighter, so make it just a tiny bit darker. I am so glad I read this... I followed the instructions above and added the color to the melted marshmellow... I will NEVER buy fondant again. This was great! BTW - when I needed brown, I used Cocoa Powder (reduced sugar a little) and the fondant tasted like tootsie rolls. Ryley....that does sound easy! Do you make a separate batch, though, for each color? I reserved a big chunk of white. Quick off-topic question. I made sugar cookies with royal icing for the first time the other day and had some left over dough in the fridge but it seems kind of hard. What's the longest you can keep dough in the fridge and still use it for cookies? bridget--I love your wedding picture! and I had the same reaction when my wedding cake maker said, I'm going to use fondant. I was like fon-what? ok ok, now for the fondant....you've convinced me to give it a go sometime! Thanks for linking up girlfriend! and have a FABULOUS Mother's Day.....be sure to let me know what you get! You are brave to try this. I see bad things if I tried this at home. Especially marshmallow everywhere! This is the best tutorial for fondant that I've seen so far. I really think I might brave it for my son's 8th birthday in August. He wants a really special cake, and I think you might have given me strength to try it. thanks! I definitely agree regular fondant does not taste great. I did try making this marshamallow fondant, and I made a giant mess. It was delicious, though. I will try again with your recipe. Thanks! Yes, I do make a different batch for each color. Or if I need a little bit of a lot of colors I melt a whole bag. Split it up (after its melted) add the color. Then mix in a little powdered sugar by hand, then make it kinda like pasta. I pile of powdered sugar with a "well" in the middle. Add the melted marshmellow then keep adding powdered sugar until its the right consistancy. 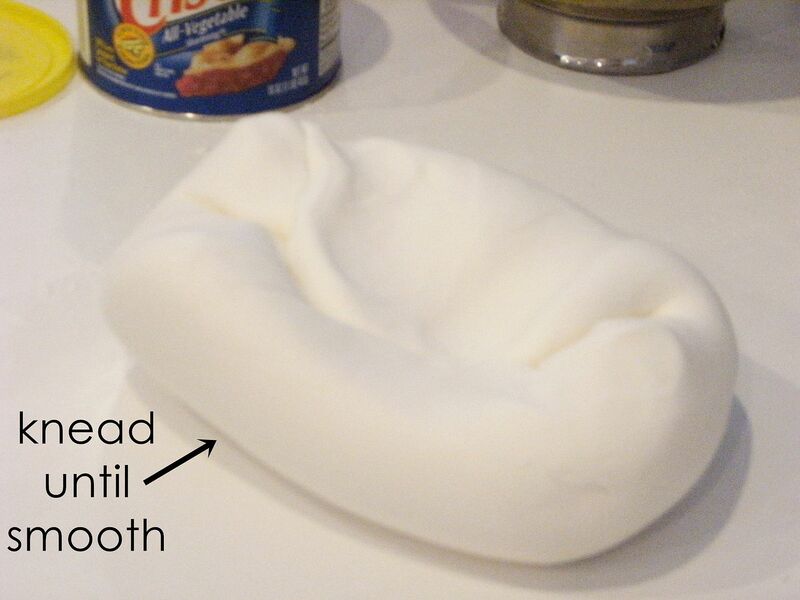 LOVE fondant made from marshmellows...after this you will never use the store bought stuff. It tastes soooo much better. You want to actually eat it instead of peel it off. Can't wait to see what you made! Glad you finally tried it. It is so easy. And the cupcakes look great! This is the same fondant recipe I use and I love it! Your wedding picture is adorable! I love making my own fondant! I only use small amounts at a time to make decorations for my cookies. I thought I'd just add that you can store the unused portions in Ziploc bags and SLOWLY microwave it again to soften it up when you need to use it again. Do 5 second intervals. I too, am a fan of the homemade fondant!! Love the cupcakes, so simple and so sweet. Happy mothers day to you!! You're gorgeous! Thanks for posting this. I loved that you call it a sugar pillow. That sounds very yummy. 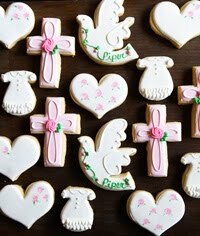 I'm totally going to make some and hopefully do it this weekend. 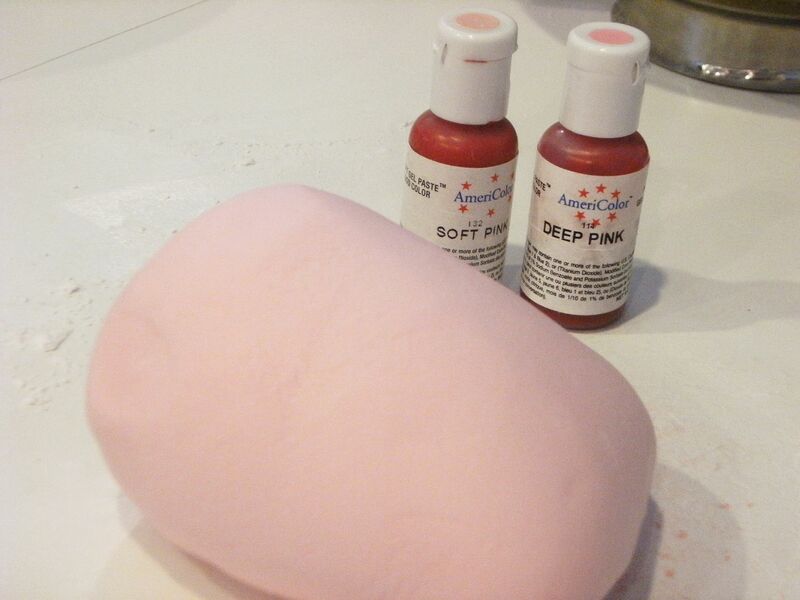 Marshmallow fondant is so easy to make and a great way to learn to cover cakes/cookies because it is really smooth and drapey. But a word of warning--it is not a great medium for making fondant sculptures or figures or bows to go on top of a cake--it just doesn't dry hard enough and will droop. I like to cover my cakes in marshmallow fondant, but if I have to make a bow or other stand-up decoration, I use store bought "real" fondant. Would adding Wilton Merigue Powder or better yet, Wilton Color Flow powder to the mix help the fondant to hold up? Keep out just enough for your sculpting and try adding some of this powder to it. Would love to know how that works. Does it have to be Crisco? Can I just use butter? I've just recently started covering cakes with marshmallow fondant and have had great results! 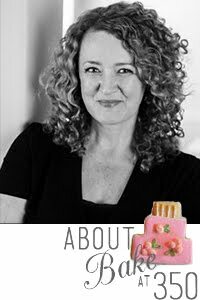 Can't wait to see what you've vreated with your pretty pink fondant! Chrisgelica...I would probably stick (ha!) with Crisco. That said, the ingredients aren't really expensive, do you could always try it. CuteStuffInside...I saw someone ask this on another blog or forum. The answer given was no, but I've never tried it myself. Ryley/Lisa/msubulldog...thanks for the tips, girls! This newbie can use all she can get!!! I've been meaning to try some homemade fondant, but I never seem to get around to it. I definitely need to since I think I will probably use it on my brother's wedding cake! I have been slacking, though. I love this. I bought fondant at the store a while back and found it disgusting, and swore it off forever. But this looks delicious AND yummy! you are still that tall thin gorgeous woman from the wedding picture!!! what a great wedding picture! I've made the other fondant, never marshmallow fondant! I've heard a lot about how much better it tastes, I think I'm going to try this! This is probably obvious, but just in case, do you have to sift the powdered sugar? This did not work for me whatsoever and I followed the recipe to the T. ALl it did was make mess. Scratch that it worked lmao. Had to add more marshmallows though....anyone else have that problem? I'm so glad I found this. My baking world has been expanded to all sorts of new possibilities. Melting the marshmallows in melted butter on medium-low heat over the stove worked a lot better for me. I seemed to overcook the marshmallows in the microwave. Otherwise, I'm super stoked to have realized that I can make fondant at home. Thank you so much for putting this recipe up! I read it ages ago, but didn't have to use it until today when a coworker requested a stegosaurus cake. I checked Michaels and didn't really have the $20 for fondant. That's when I remembered you had posted a recipe for it! It's so much easier to make and use than I thought it'd be! Thank you thank you thank you! Thanks for the recipe! I cater and do cakes, but have only used fondant once. I hated the way it tasted so usually dissuade my brides to go that way. I'm doing a demo cake next month so will try it then. Thanks so much! Wow! Thanks for such an amazing recipe. I have never made my own fondant and pretty new to working with it. I saw your blog on it and was totally captivated...and well the results are AMAZING! It came together beautifully and tastes yummy! Thanks again! can we use double-boiled without using microwave?? I only have a hand mixer. 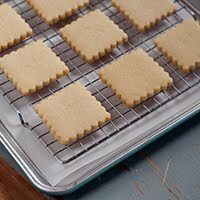 Is there a way for me to make fondant without a large mixer? Thanks! This looks like FUN!! And I love the nostalgic photos! I've never made fondant, but you make it seem not so hard. Thanks, Bridget! I love homemade fondant! And I actually really like the taste of it, too! I just have to comment on what a perfectly beautiful bride you were! I finally made this last night. It came out perfectly. I've only ever heard how awful store bought fondant tastes. I had never had fondant before so I was surprised at how tasty this really is and how fast and easy this recipe was to make. Thanks for sharing! Wished I've seen this yesterday!!! The recipes I found online, looked weird! And I was never the biggest fan of the taste. I might eat this!!! Thank you for sharing. Thank you so very much...I just made the fondant today for a cake I'm making. It turned out so very well....so thanks again. Thank you this recipe! I hate commercial fondant and thought it was too hard to make. I made this recipe and added clear vanilla and almond. It was awesome. It colored well and it was soooo soft! It did not get hard on my cake so the bite was tender. It has a load of sugar in it but hey who counts calories on cake?! Thanks again I will be eternally grateful! I'm so glad everyone had a wonderful time making this! I personally blew a fuse and thought I broke my mixer. I think you should advise people to divide and mix in two separate batches if they do not have a fancy $400 mixer. I basically had to mix it by hand with a rubber spatula after that. Awesome. After all that, I did get it to the consistency etc. I also got food coloring all over my hands and counter, so I would definitely do what the lovely lady up there said about dying the melted marshmallows first. No big deal though, it washed off. So finally I get this all done and looking how I want it. I taste it. Wow, it tastes surprisingly like the fondant I have bought at Michaels! Yeah...no thanks. Love your blog and the yummy things, but this was super frustrating to me. Luckily I'm only using it for kitty cat ears and snouts on cupcakes, not covering a whole big area. Made fondant today to use for a friends birthday using this recipe! So glad it's marshmallow based as other fondant is not so great tasting. It's also super easy to make this recipe! Thanks so much. Does this have to be a glass bowl or just a microwavable bowl? I have bought the ingrediants ... hoping this will save lots of money buying fondant. 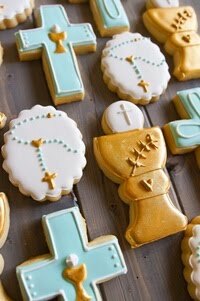 So a lot of blogs say that when using fondant to decorate cookies, spread butter cream frosting over cookie before u put the fondant layer down so that the fondant sticks to the cookie better. I was wondering if u are going to layer fondant over fondant (for example, a star fondant shape over a circle fondant shape,) do u need to put frosting between the fondant so the fondant will stick to the fondant, or does the fondant naturally just stick to itself? i so want to try this but my microwave don't work can i just melt the marshmallows in a pan. Thanks for the great info and how to. My fondant came up perfect. Now I just need to find some black gel dye in the next couple days, my local craft store is out and they don't sell it in the regular stores here. To help answer the last couple questions I would say melting the marshmallow in a pan would work fine too. As long as in is consistent and all melted. And yes you use a little buttercream to "glue" fondant layers together too and I think a dab of water works also when it's fondant to fondant. Experiment and see what works best. I have read and seen videos about making things out of fondant.. And everything i have seen and read says that if you are going to make things other then covering cake. To use Gumpaste.. There are alot of videos showing all kinds of videos and they are so very helpfull. The Gumpaste gets garder so it is better to form things with it rather then the Fondant!! Instead of using Crisco, try using organic-extra virgin coconut oil- it has the same solidity and greasing properties, but is actually healthy for you. I also use it in pie crusts-it's way better than Crisco, gives a fabulous taste, tender yet flakey texture, bakes up golden brown and perfect, with no worries about the health effects. If you need 'chocolate' colored fondant...I added unsweetened cocoa powder to the powdered suger. I believe I may have found the recipe for tootsie rolls!!! I'm finally getting to try this and had a couple issues. First I thought my mixer was going to die on me...second, it was so hard to knead that I gave up. After about 10 min and lots of crisco on my hands, it started getting smoother, but if I folded it at all it would crack and crumble into pieces again. Is it too dry? Any tips would be appreciated! Thanks for sharing your recipe and tips. 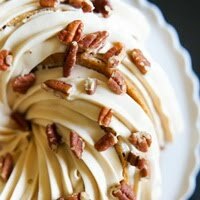 Can we use regular gel food coloring or needs to be a special one for fondant? I made some really cute Phineas and Ferbs for a birthday cake with this recipe! Thanks for the help! Mine was really dry when I made it so I didn't use all the powdered sugar, maybe I needed to add more marshmallow. Thanks for the recipe I have always wanted to make this and now I have a recipient for it! Going to try this later today. This is a great recipe! I made fondant for the first time using this recipe and it turned out great! Thanks for the recipe! how many cakes does this fondant recipe cover?